Throw some of these fun activities onto your couple’s bucket list this Valentine’s Day in Bangkok! Bangkok is worth a visit all-year-round. How about a romantic trip to Bangkok? Valentine’s Day is around the corner and there are plenty of things you and your loved one can do to celebrate together in Bangkok. Here are some unique ways to celebrate Valentine’s Day in Bangkok. 1. Set Sail on a Chao Phraya River Cruise. Hop aboard the romantic Chao Phraya River cruise for Valentine’s Day dinner. You’ll enjoy a romantic dinner as you sail the Chao Phraya River with a beautiful view of Bangkok’s iconic landmarks such as The Grand Palace and Wat Arun. White Orchid River Dinner Cruise offers welcome drinks as well as a delicious buffet dinner. For your entertainment, there will be a Cabaret show to enjoy with your significant other while dinner is served. 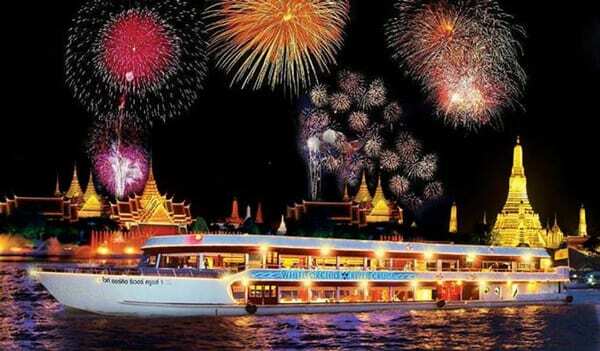 Chao Phraya Princess Dinner Cruise will also give you a romantic evening with a breath-taking view of Bangkok. The cozy and air-conditioned dining area means that you will have a relaxing time together while having a world-class buffet dinner. Special for the transfer option! click HERE. Manohra Dinner Cruise by Anantara is a good option if you are looking for a fancier & quieter dinner cruise. The cruise will pass by several famous Bangkok landmarks while you are enjoying a delicious Thai-style course dinner. Whichever cruise you choose, it will be hard not to feel the love in the air with a nice dinner, live music, and the beautiful night view of Bangkok. 2. Experience a luxurious couples massage at Bangkok Oasis Spa. Sweep your sweetheart off his/her feet at the Bangkok Oasis Spa, the luxurious getaway located in the middle of downtown Bangkok. Oasis Spa offers 11 signature and classic Thai massage programs with aromatherapy that will make your “sweetie” feel so special! This is a perfect way for cozying up to your love after a long, tiring day of traveling in Bangkok. Bangkok Oasis Spa has 2 branches in the Sukhumvit area, and they offer a free pick up service from Phrom Phong BTS Station Exit 1. 3. Learn how to cook Thai Food cuisine together. Learning something new can be a great way for both of you to step outside of your comfort zones, and get to know each other in a completely new way. In Bangkok, learning how to cook Thai food is a great thing to try for couples. The important thing is to keep an open mind and have fun adding this new cooking skill to your repertoire. And who knows? Maybe it’ll become a monthly or yearly tradition for you to cook Thai food together! Silom Thai Cooking School offers you a chance to learn and experience Thai cooking and culture in an immersive way. Don’t worry if both of you are not good at cooking. Everything will be provided for so that you can simply follow the instructor. You don’t need to bring anything, just come and have some fun! You will end up gaining such lovely memories together plus some serious cooking skills. 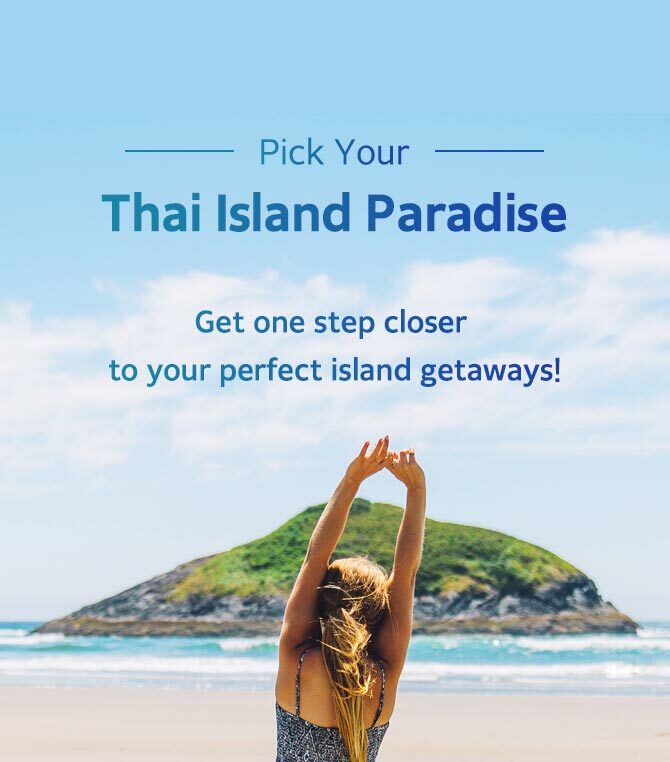 For more travel tips and ideas for your next trip in Bangkok, make sure you visit Trazy.com, Asia’s #1 Travel Shop!